Online marketing may seem easy to some, but it requires continuous updates and learning. It is a very dynamic industry that obliges every player to keep up with the latest trends in technology and the Internet. In order to succeed in online marketing, you must be able to understand the most basic concepts. Building an anchor text and link profiles are some of the most basic yet most useful skills when it comes to online marketing. They may seem simple; however, if you use them effectively, they can do wonders with your web content as well as your website. 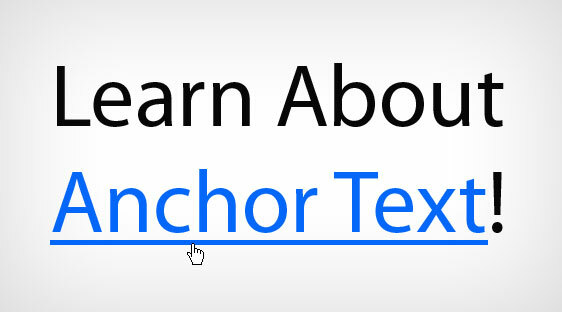 An anchor text is the visible and clickable text in a hyperlink. It is also called link title and link label of link text. It usually has a maximum of 60 characters and is normally relevant to the webpage you are linking it to. The words in this text help determine the websites’ rankings in Yahoo or Google search engines. If a visitor clicks one of your text links, he or she is directed to an external or an internal website. On the other hand, link profiles are composed of a wide variety of links to your website. These links may come from various sources such as forums, directories, press releases, news articles and more. The links may also contain anchor text. They also help increase your web page’s ranking in different search engines. These practices enable businesses to increase their brand awareness. They could use link profiles in order to direct traffic to the businesses that they are promoting. Visitors are directly to the business site. As a result, their attention as well as the interest is automatically captured. Building a link profile also allows you to increase your online presence. It is a great way to increase your rankings in search engines. This way, you can direct the attention of your target audience to your website. Increase relevant web page content. Since most search engines such as Google and Yahoo have created several filters that eliminates websites with redundant or lacking content, it promotes the need to create quality material. You are now forced to create high quality web content instead of creating spam and useless links or texts. Lastly, using these links enables you to gain your visitors’ trust. Since your website is filled with useful information and relevant links and content, it helps you retain your existing visitors as well as attract a new target market. It prevents your audience from losing their interest because you do not post any spam or irrelevant material. Creating anchor texts and building a good link profile can help you with your search engine optimization. It also helps you market your products and services online in a more effective and efficient way. It eliminates unrelated links, which results to a more successful website traffic. With these practices, you are not only directing traffic to your site, but you are also keeping them absorbed.